Go native. Choosing plants that grow naturally in your region and climate are the quickest and easiest way to have a positive impact on the environment. Why? Because native plants don’t require fighting Mother Nature (i.e., extra water and chemicals) to keep them alive. Native plants also help support the local ecosystem by feeding insects, birds and other members of your yard’s habitat. Switch to a soaker. While it will require an up-front investment, installing a soaker hose drip irrigation system will deliver water directly to the soil and the roots of plants, avoiding the wasted water of sprinklers. Ultimately, you’ll use less water, and also foster healthier plants since water droplets on leaves and flowers can lead to disease. Groom your grass. A healthy lawn has many benefits, such as preventing water from evaporating, and also deterring flooding and soil erosion. However, the trick is to maintain it properly. Visit your local garden center to make sure you’re planting the right type of grass, and then make sure not to cut it too short. Longer blades of grass help conserve water. 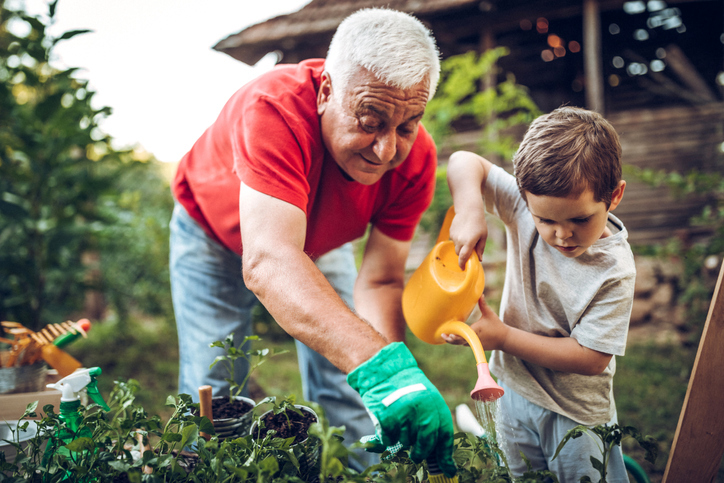 Implementing just one or two of these ideas will help ensure your garden gives back not only to you and your family, but to the generations who come to call your house home in the future.